Julie is the Business Manager for Legacy Dental Care and joined our team in 1989. She has over 27 years of experience, working in dentistry with patients and their insurance companies. Julie loves working with both numbers and people, so her position at Legacy Dental Care is perfect for her job! She looks forward on building more and more relationships with her team members and our patients. She thrives to make your experience a pleasant one every time! Outside the office, Julie likes to volunteer at her daughter’s school and spend quality time with her family and friends. Judy is one of our Registered Dental Hygienists at Legacy Dental Care and has been happily employed here since 2000. She received her Associate of Science and Dental Hygiene degree from Cabrillo College. With over 30 years in this field, she continues to bring a high level of dedication, care, and support to our patients for their oral health. Nora is our registered dental hygienist with over 18 years of practice experience. 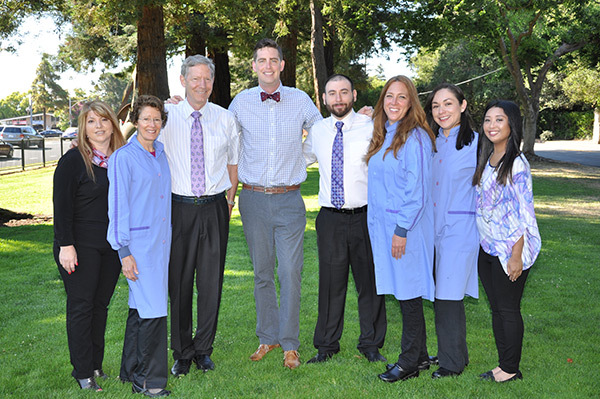 She graduated from the UCSF Dental Hygiene program with a Bachelor of Science. She enjoys the interaction and wonderful rapport with patients and has much enthusiasm for teaching them how to maintain dental health. In the past, she has volunteered with the San Francisco Department of Public Health fairs, and even organized some of her own dental awareness presentations at local preschools and public elementary schools. Nora enjoys spending time outdoors with friends and family. As a local bay area resident, she likes to take advantage of our proximity to the Tahoe Sierras for skiing and more local mountains for hiking, running and camping. Her latest fitness passion is running half marathons. Keeping fit to take care of her health allows her to take better care of her patients too! Meg is a Registered Dental Hygienist at Legacy Dental Care. She joined our team in October 2008. She received her Bachelor of Arts at Western Washington University and Associate of Science at Foothill College in Dental Hygiene and Dental Assisting. Meg enjoys working with patients to attain their optimum oral health. Outside of the office, she spends her free time hiking and exploring the Bay Area with her friends and family. Jasmin is our Registered Dental Assistant and joined our team in the summer of 2002. She obtained her RDA license from Foothill College in 2004. She brings a positive and upbeat attitude to work each day, lifting the spirits of those around her. In her spare time, Jasmin enjoys hiking, jogging, and spending time with her son, family, and friends. Fernando is our dental/hygiene assistant and most importantly our sterilization tech. Fernando joined our team in 2004. He truly enjoys being part of our team and getting to know new people. In his spare time he is part of a local church worship group. He enjoys fishing and spending time with his wife and daughter.